Click here for holiday schedule! Calling all middle school students! J-CON, MENORAH'S NEW CONTINUING JEWISH EDUCATION PROGRAM! Register here! Details about the program are available here! Monthly Simcha Kiddush! Celebrating a birthday, anniversary or any special occasion? Donate towards a kiddush! Available sponsorships: cholent, gourmet challahs, fruit or dessert platters, L'Chaim, Children's Tisch. Contact the office to start! THE RABBI’S CHALLENGE: Morning, Afternoon or Evening - let’s study! At your home, office or Starbucks - ANY topic you desire! Call the office to schedule your study time! 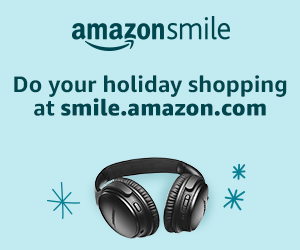 YouShop, AmazonDonates, click image below!